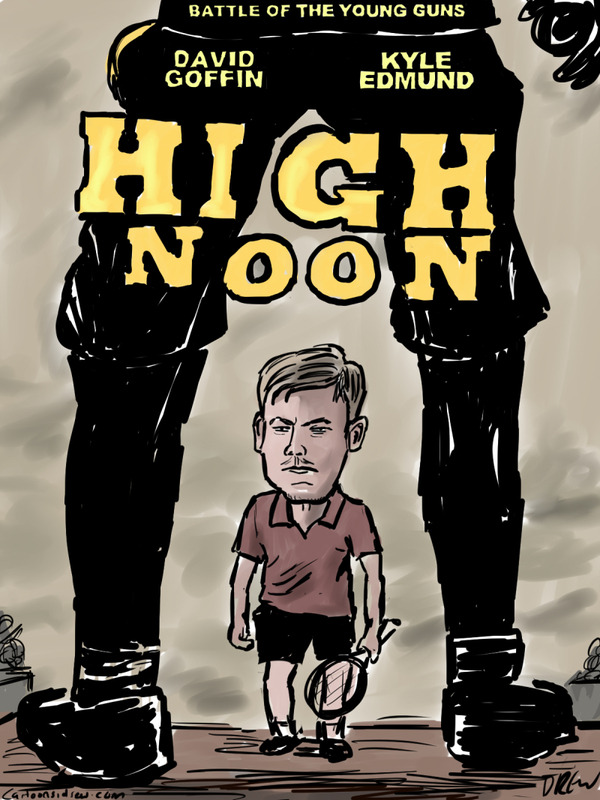 Here is a spoof High Noon poster I did for the opening match of the 2015 Davis Cup singles match between Kyle Edmund and David Goffin. As it was Kyle Edmund got off to an unbelievable debut start winning the first two sets before Goffin gained control of the match took it to 5 sets and delivered the point for Belguim. 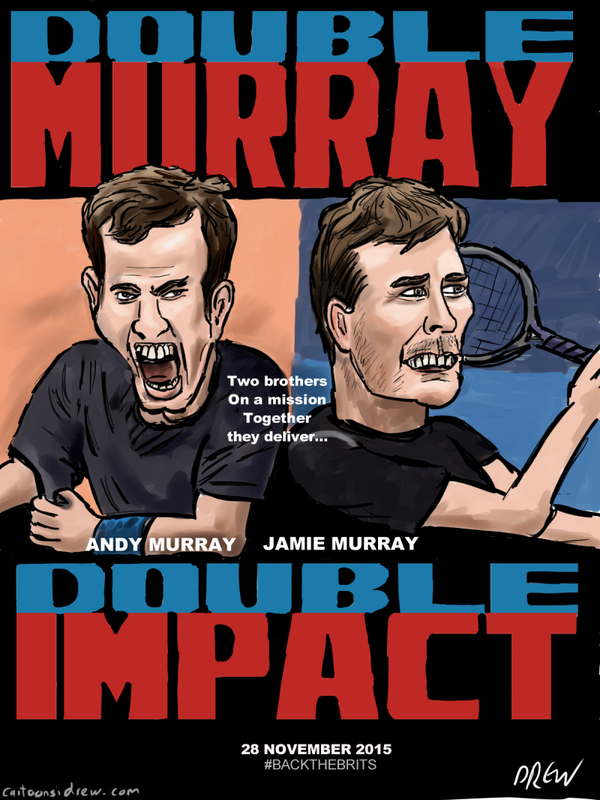 Then tonight I reworked my Andy and Jamie Murray caricatures into a spoof Double Impact poster for tomorrow's critical showdown. When I saw them in Glasgow they were awesome. After I did it I realised Jean-Claude van Damme was the Mussels from Brussels.